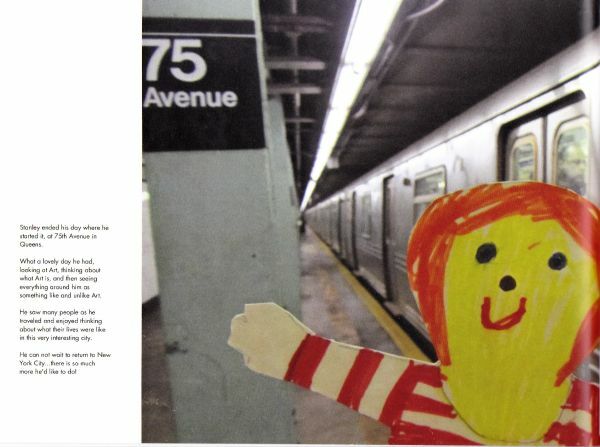 Today I’m posting–with permission–a children’s book written by and illustrated by my younger daughter. 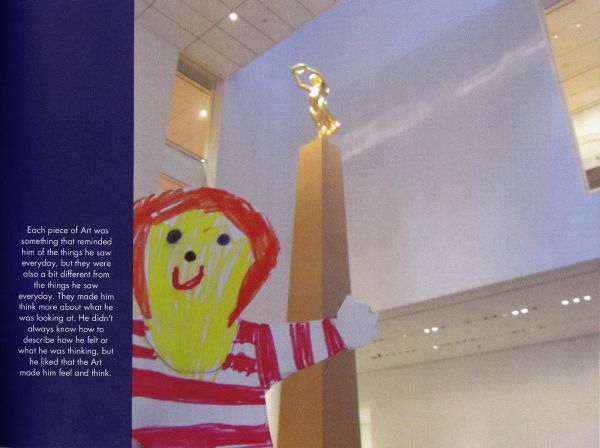 It’s a new adventure about Flat Stanley. 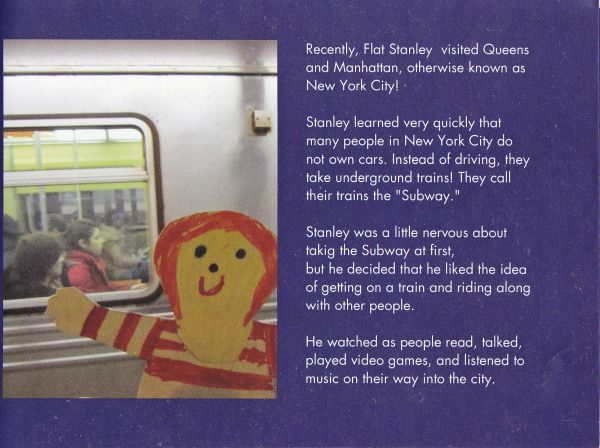 In case you’ve never heard of Flat Stanley, he’s a character created in a children’s book by Jeff Brown in 1964. 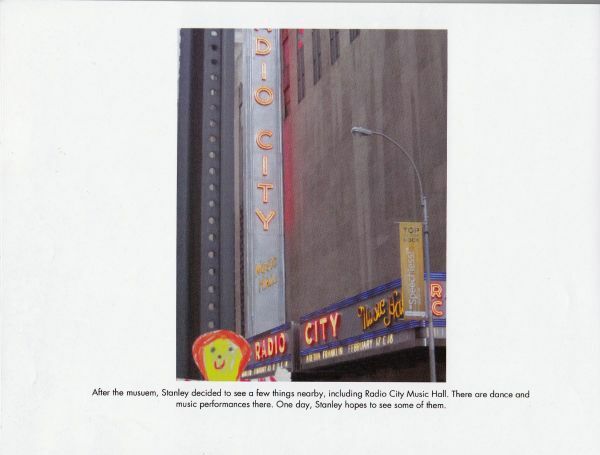 The plot involves Stanley Lambchop and his younger brother Arthur who are given a big bulletin board by their Dad for displaying pictures and posters. 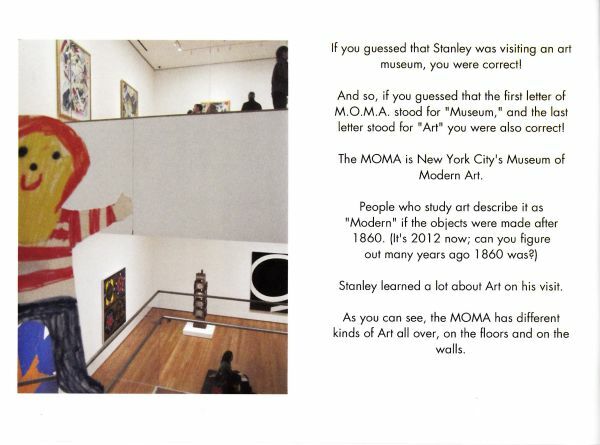 He hangs it on the wall over Stanley’s bed. 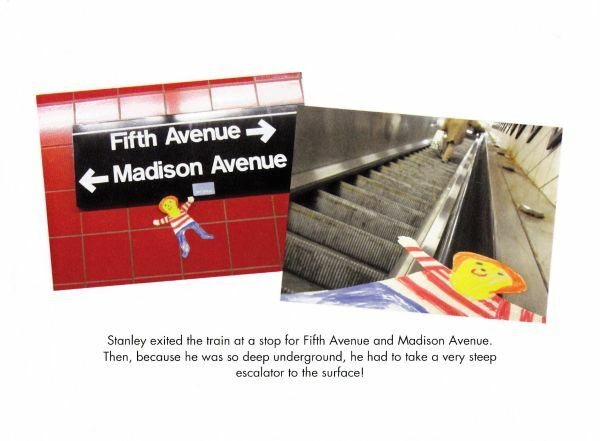 During the night the board falls, flattening Stanley in his sleep, but Stanley survives and makes the best of his altered state. Soon he is entering locked rooms by sliding under the door, and playing with his younger brother by being used as a kite. 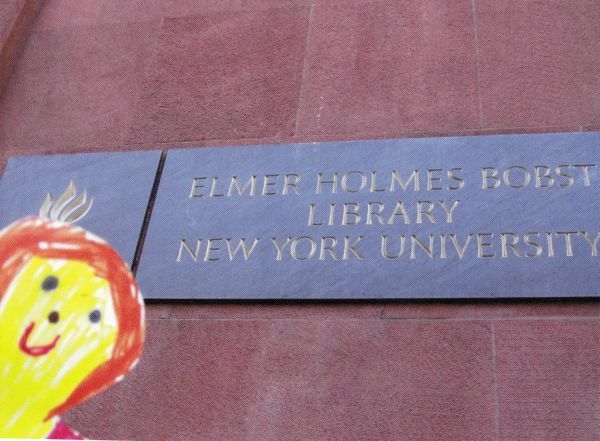 Another special advantage is that Flat Stanley can now visit his friends inexpensively by being mailed in an envelope. 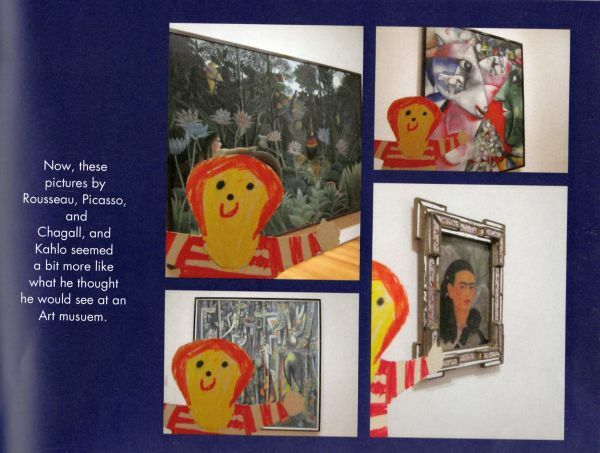 He even helps catch some art museum thieves by posing as a painting on the wall. 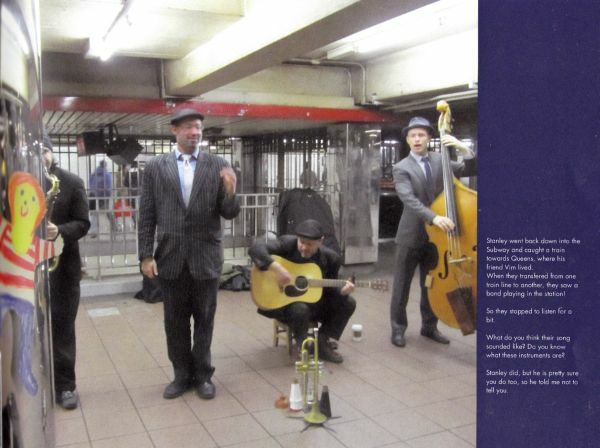 Eventually Arthur changes Stanley back to his normal shape with a bicycle pump. To facilitate easier reading in case the monitor you’re using is smaller, I’m duplicating the text inside brackets under each picture. 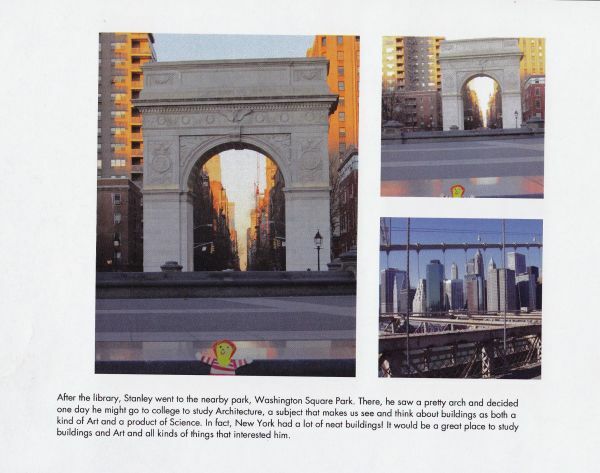 Flat Stanley loved New York City! 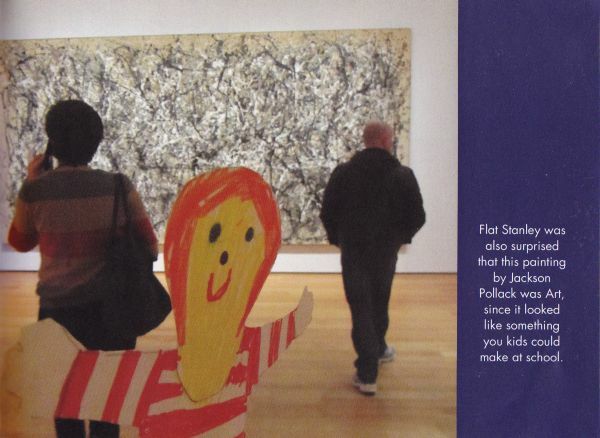 For more information on Flat Stanley, check back with Wintersong on Monday. 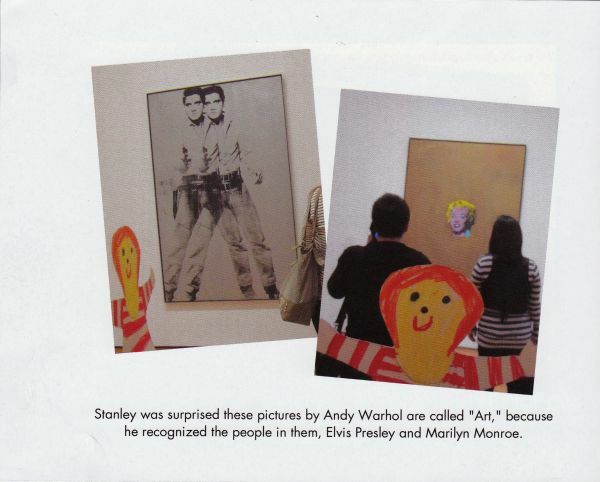 This entry was posted in International Travel, musing, Photography, Pop Culture and tagged Elvis Presley, Flat Stanley, Jeff Brown, Madison Avenue, Marilyn Monroe, New York City, Stanley, Vincent Van Gogh by Alice. Bookmark the permalink. 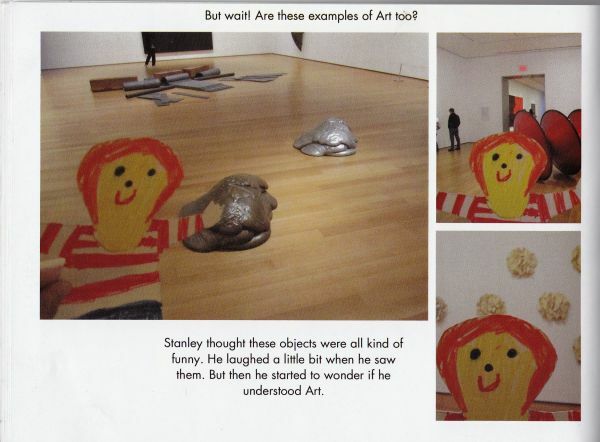 Flat Stanley is not a character I am familiar with, maybe he didn’t make it over the pond. I will be watching out on Monday for the next episode in the saga. As I was setting this up I was wondering if those “over the pond”–as you say–would be familiar with it, so I’m especially happy to have your comment. I’m familiar with a lot of what I consider “classic” children’s literature, but this one did manage to escape my attention until this year. 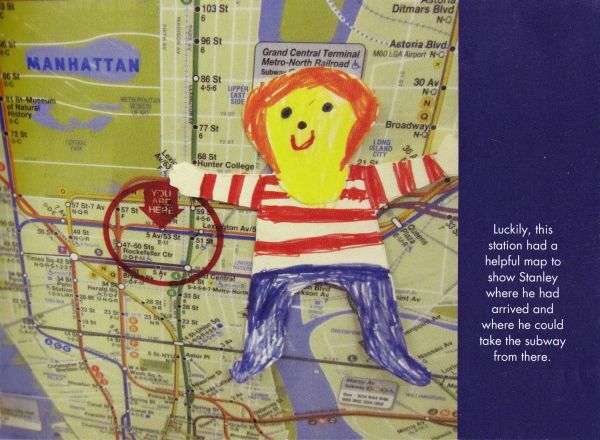 It think it’s a marvelous concept to open a child’s conception of what the world is like “out there” somewhere way beyond theirs. 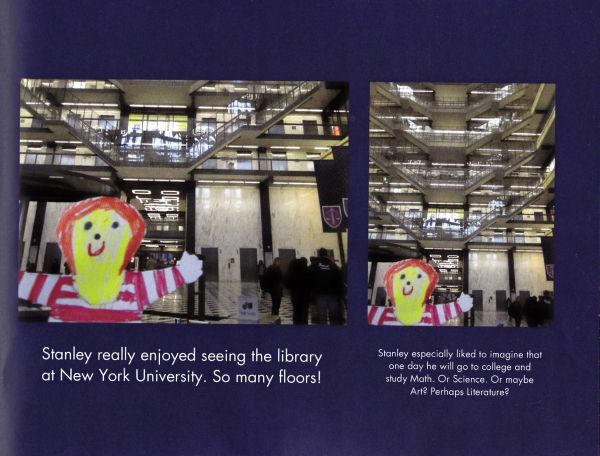 Flat Stanley is a delight!!!! I applaud your daughter!!!!!! I thought it a hoot!!! Gonna check it out for the grands!!!! Whew! 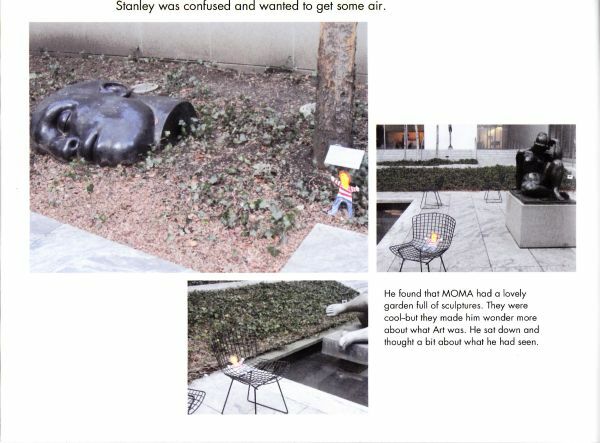 Flat Stanley escaped the MOMA without someone hanging him on a wall. 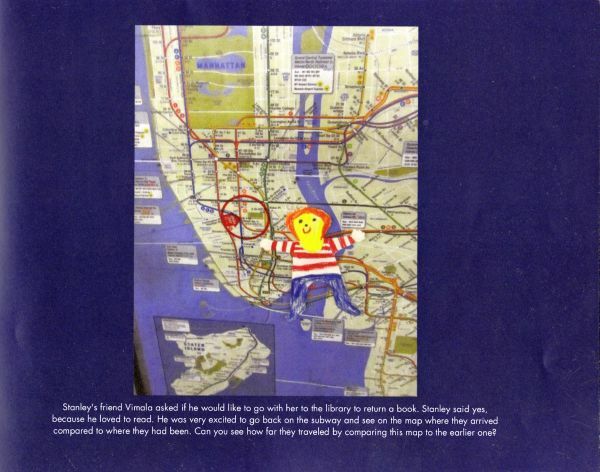 I am absolutely enamored of Flat Stanley. Yea. 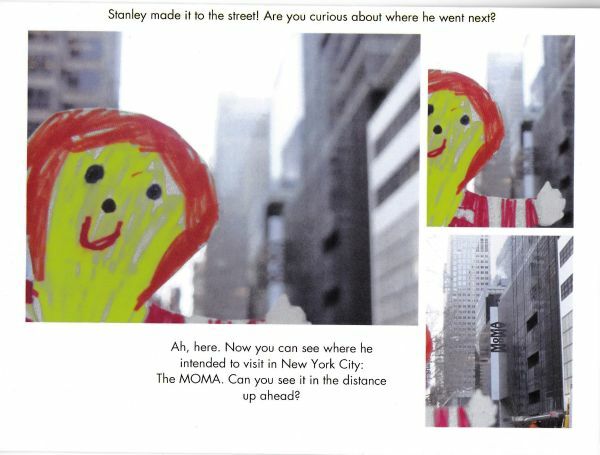 Now that you’ve had a formal introduction, maybe you could make your own “Stanley” to go along on some of your photo adventures about town. 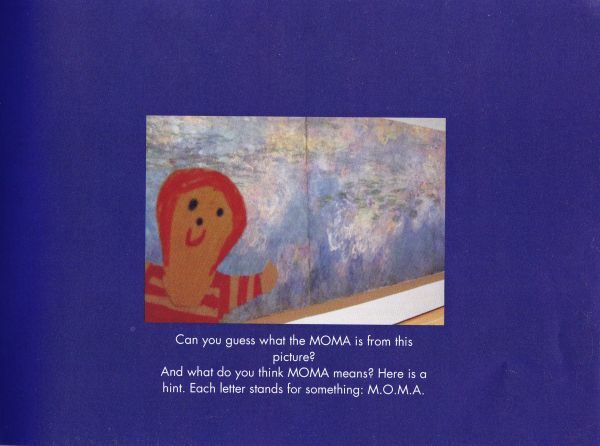 Btw, does your granddaughter know about this book series? This is fantastic, Vim. I enjoyed it thoroughly. 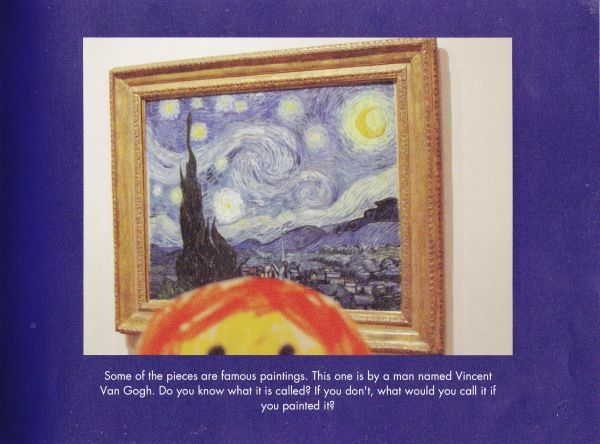 It reminded me of the stories of the Poochi that I often made up for my younger daughter. A poochi means an insect in Tamil and there was this fictional one that resided in her tummy and would come out occasionally to have adventures.